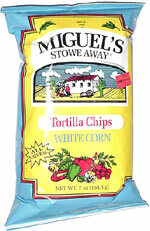 Taste test: These are good tortilla chips, with lots of corn flavor and just a bit of salt on them. They're shaped slightly differently from your typical tortilla chips, as these are shaped like 1/4 of a circle, rather than the typical triangular configuration. 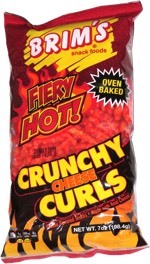 They're thin, crisp, and large enough to hold quite a good portion of salsa, if you're in the mood for some dipping. Smell test: Toasted tortilla chips smell.